This is the story of the entrepreneur Giovanni Mancassola and his company Athena. from a “garage-like” workshop to a manufacturing reality with 550 employees and 10 branches around the world, from Brazil to India, with a global turnover exceeding 70 million euros. Athena has been in the market since 1973. 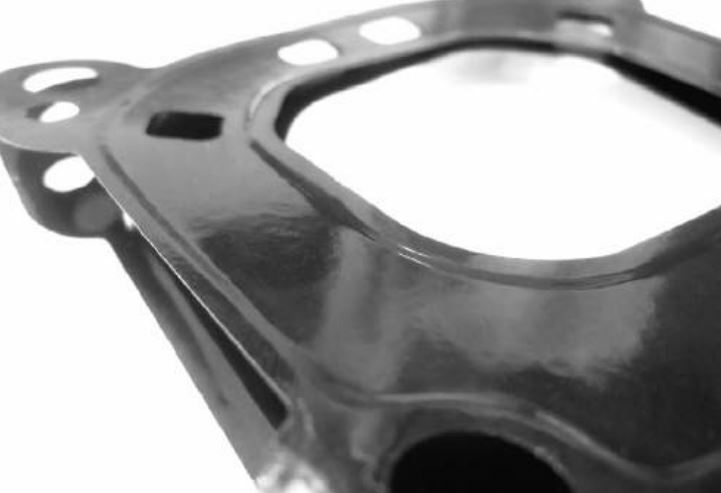 Nowadays, it is a leader in the production of gaskets in Italy and Europe, for many industrial applications: the company is considered as a benchmark not only for the traditional spare parts market but also for racing vehicles applications. “With the passing of time, we have added electronic units and data acquisition systems to our mechanical part production, enabling the driver to access all necessary information on the track, race and vehicle”, states the CEO Giovanni Mancassola. thanks to our data acquisition systems the driver knows how to better manage the race or the test he is conducting. Furthermore, we decided to add prestigious brands to be distributed alongside our traditional product range, in order to offer our customers a wider range of solutions. The new brands perfectly embrace the core philosophy of our company: seriousness, reliability, technical evolution and continuous improvement, key features to meet the expectations of an always more demanding, informed and qualified consumer. MLS cylinder athena head gaskets are being fitted by many vehicle manufacturers as original equipment. Modern engines imply higher cylinder pressures and higher temperatures and MLS gaskets have been realized in order to cope with these new realities. ATHENA MLS gaskets feature a combination of 3 to 5 layers made of different types of raw materials. Outer and inner layers combination is designed to perform at higher compression levels than stock configuration and type of steels that are used may vary upon the engine requirements. ATHENA gaskets provide an even torque load across the sealing surface to compensate any type of bore distortion. ATHENA MLS gasket is the best solution for both aluminum heads to cast iron blocks and aluminum heads to aluminum blocks. Our New Design MLS Head Gaskets are made from high grade 301 stainless steel full hard material. Each layer is individually formed using a state of the art laser cutting and embossed with an optimized formation process. 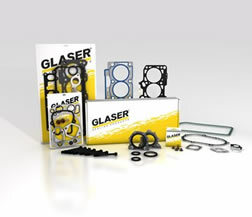 All head gasket layers go through a stress relieving process to significantly reduce embossment forming induced stress. Proprietary two part polymer coating is applied after the stress relieving process and ensures uniform coverage of the outer layers providing no break in the coating. This process ensures the micro seal of engine coolant/oil fluids. Athena MLS gaskets are tested and analysed on Engine Dynos and endurance performances. Gas stopper technology is a key design factor of athena racing gaskets. 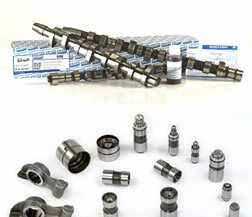 The stainless steel stopper layer features a state of the art “active fold”, which delivers a high-pressure seal around the cylinder bore when tightening the cylinder head. The gas stopper is located around the combustion chamber, allowing the cylinder head and engine block to clamp tighter and preventing gases to leak out of the combustion chamber. This also avoids component distortion by means of a quicker equalization of the various components temperature. 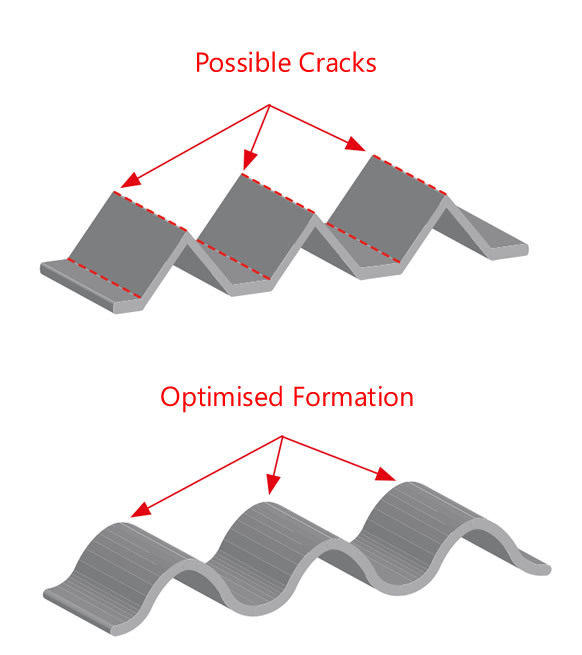 > Our unique embossment formation process uses soft radius forming to optimize the embossment radius in critical areas. 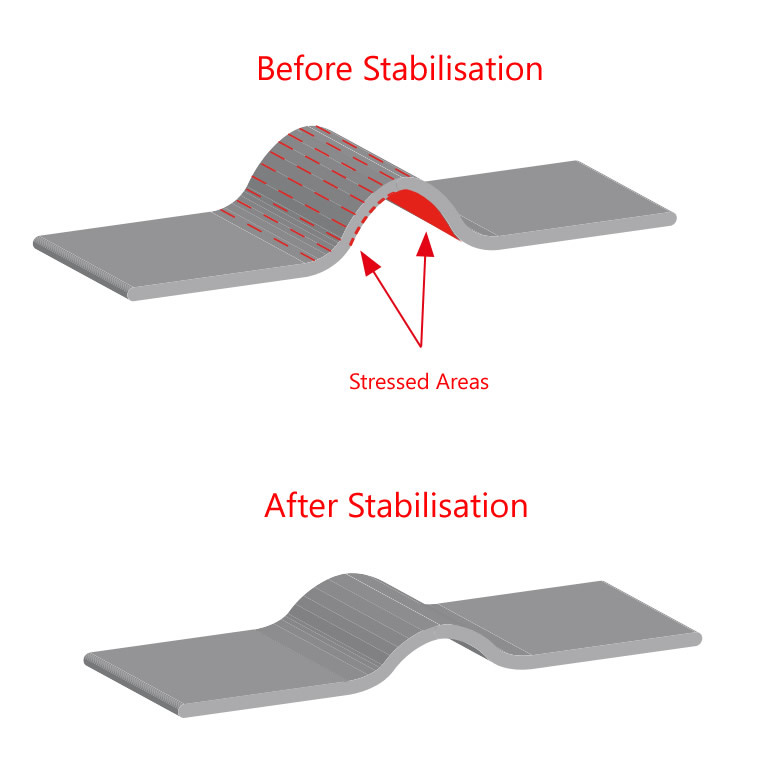 > This solution improves gaskets conformability, reducing stress points. 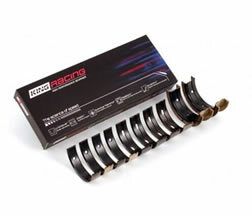 > It also provides uniform clamp load distribution across the engine block deck and increases embossment surface contact area between engine block and cylinder head surfaces. > All head gasket layers go through a stress relieving process to significantly reduce forming induced stress. > Pre-coated metals (used by some competitors) would not be able to survive this stabilization process. 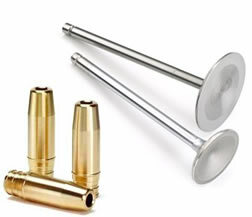 > Advantages of tempered metal are reduced hardness and brittleness, increased flexibility and deformation retention. Also, relax stress points in the gasket after the embossment forming process. 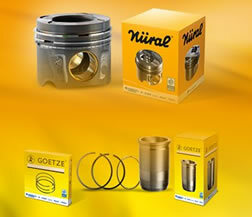 This stabilizes the gasket, resulting in a reduced cylinder bore distortion and improved combustion seal around cylinder bore (embossment profile) to seal extreme pressure. > Our two-part polymer coating is applied after the stress relieving process and ensures uniform coverage of the outer layers providing no break in the coating. This process ensures the micro-seal of engine coolant/oil fluids and meets the demands of a variety of harsh environments. > The first layer is a high temperature compound that will conform to fill engine block deck surface and cylinder head surface irregularities. (Typical MLS athena racing gaskets require a surface finish of 30 Ra, while Athena’s will seal surface finishes up to 60 Ra). > The second layer itself releases easily and will not stick to mating surfaces when disassembling the engine, in order to prevent scratching or gasket corrosion. Looking to buy Athena Gaskets? If you have any questions or are looking for Athena Gaskets to purchase, please get in touch. Our range is vast we probably have what you are looking for in stock. Are Athena gaskets any good? There is a lot of speculation on internet forums about faults that people have experienced from all different gasket manufacturers including Athena. Quality control at Athena is above the industry standard and the products are used by race teams across the globe for cars & motorcycles. There are several procedures that need to be carried out before a new gasket is fitted. A gasket generally fails due to another underlying fault. Just replacing a head gasket because the other one was faulty is not recommended. 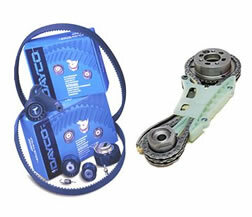 The block and cylinder head must be checked that is completely flat and within tolerance. This should be carried out by a competent engineer. Also, make sure you have the correct gasket. 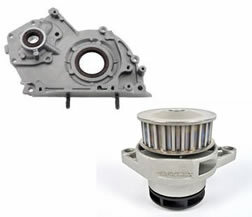 Manufacturers make small changes over the years to their engines and the gaskets may change. You must check the new gasket with the original and make sure it is exact. If you are in any doubt, please contact us or your engineer.